PHILIPPINES. On the eve of the late former President Ferdinand Marcos' 93rd birth anniversary, Filipinos appear to be forgetting his legacy of abuse, victims of human rights violations during his long rule said on Friday. Bayan Muna Rep. Neri Colmenares called on the Church and rights advocates to remind the public of the evils of martial law so future generations need not go through the same experience. Filipinos seemed to have forgotten the dark years of Marcos' dictatorship “as if martial law was just a dream some time ago," Colmenares said in an article posted on the Union of Catholic Asian News website Friday night. Colmenares said it is important that human rights advocates remind the public of the ills of martial law. "(This is) not only because we want to exact justice, but also because we cannot allow the future generation to experience what we experienced," he said. 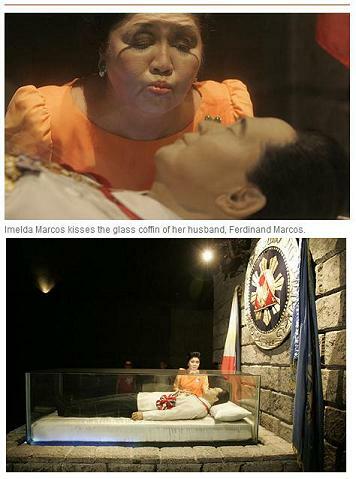 Marcos ruled the country for 20 years, from 1966 to 1986. He served his first term as president from 1966 to 1969, then won another term that was supposed to run from 1970 to 1973. Instead, he imposed nationwide martial law in 1972, and tailored the 1973 Constitution to suit his indefinite authoritarian rule. He formally lifted martial law in 1981, but kept tight control until he was ousted in a bloodless revolt in 1986. He died in exile in Hawaii in 1989. 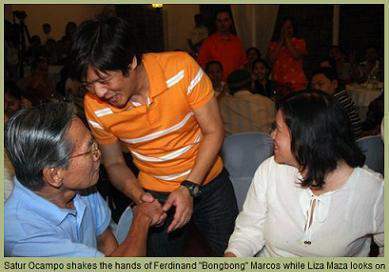 Marcos' wife and their three children later returned to reclaim their assets and rebuild their political machinery. Observers noted that the recent May elections may have signaled their political comeback. The Marcos family has planned festivities in Ilocos Norte, their home province, to commemorate the long strongman's 93rd birthday on Saturday. 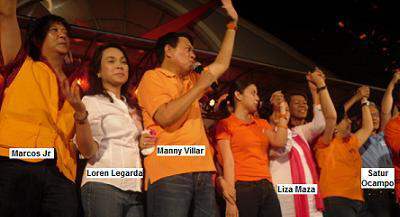 Ilocos Norte Gov. Maria Imelda “Imee" Marcos said the event will also be attended by boxing champion and Sarangani Rep. Manny Pacquiao. Apart from the governor, other members of the family who have made a successful comeback in politics include matriarch Imelda Marcos as representative of the province’s second congressional district, and son Ferdinand “Bongbong" Marcos Jr. as senator. On the eve of Marcos' 93rd birth anniversary, former Rep. Satur Ocampo and human rights advocate Marie Enriquez, who addressed a gathering of victims of human rights violations, lauded the Philippine Catholic Church for playing an important role in the quest for justice. "The sustained social-action commitment of the Church" made a significant difference, said Ocampo, who was one of the country's longest-serving political prisoners under Marcos. Still, he said rights violation victims themselves should be the "principal players" in pursuing justice and indemnification from the perpetrators of the crimes. The period of martial law saw human rights abuses, such as killings, illegal detentions and torture by the military. Yet, the victims' struggle for justice and the "little victories" they achieved somehow ease the "pain" experienced by them and their families, said SELDA'S national coordinator Fr. Dionito Cabillas from the Philippine Independent Church. Militant groups meanwhile have announced activities to commemorate the 38th anniversary of the declaration of martial law on September 21. Bagong Alyansang Makabayan (Bayan), the Imprison Arroyo Movement and allied groups have prepared a gathering of artists and media workers and a photoexhibit on September 21. Bayan and the First Quarter Storm Movement will also sponsor the screening of Sigwa, a film highlighting the protest movement during the Marcos years. The movie is a product of the team-up between director Joel Lamangan and award-winning writer Boni Ilagan, both veterans of the First Quarter Storm and both former political prisoners in Marcos jails.